Obsessed with Life: Thanks for the Award! 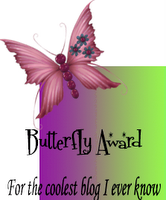 I was awarded a blog award-the Brilliant Web Blog award! 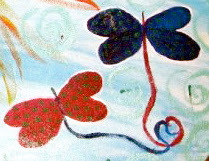 Thanks to Meaghan from cancerlost.blogspot.com. Her blog is super inspirational and very interesting about her ups and downs as a Stage 3B Cervical Cancer Survivor. Like a lot of us, she still has many medical obstacles and daily trials but lives life very fully. Thanks so much Meaghan! I truly appreciate it :). Today, I am grateful for a "down day" (finally) before I go out of town (AGAIN) on Thursday. More details to follow soon, I am grateful for supportive family including hubby, friends and God and something inside me that keeps me going each day.